This article expands on what I wrote several years ago in Each database table requires its own class. With my COBOL framework it would take 5 days. With my UNIFACE framework it would take 1 day. With my PHP framework it now takes 5 minutes. Those levels of productivity are a combination of the capabilities of the language and the features provided by my development framework. Each language provided new features which made development easier and quicker, and my framework made use of these features to provide a common set of utilities for each of the applications that were developed. The fact that my PHP framework was far more productive than either of my previous versions led me to believe that the benefits of OO were "as advertised" and not just a bunch of hype and that my implementation of OO was on the right track. I began to publish articles on my personal website explaining my approach so that others could benefit from my experience, so imagine my surprise when people started telling me that I was doing it wrong and that real OO programmers don't do it that way . Most of the arguments were along the lines of Your way is different from mine, and as my way is the right way your way must be wrong . Instead of concentrating on writing cost-effective software these people appeared to be concentrating on following an arbitrary set of rules which I did not know existed. To them it appeared to be more important to follow a set of rules in a dogmatic fashion and produce software which is 100% "pure" (whatever that is) whereas my approach is totally pragmatic as I put results ahead of any arbitrary rules. When someone tells me "you should be doing it this way" my immediate response is to ask "Why?" They need to prove that their way is better than mine by identifying all those areas where my approach produces problems and theirs does not. No such proof has ever been provided. All they can do is claim that their method is better, but that is always subjective, it is nothing but an opinion. They cannot offer any objective proof, something which can be measured scientifically. When they say "your method is wrong" I counter with "how can it be wrong if it works?" When they say "your code is difficult to read and maintain" I counter with "how can it be if I have successfully been maintaining and enhancing it for over a decade?" A classic example of where my critics say that I am breaking a golden rule is in my approach of having a separate class for each database table. I have never seen a rule written anywhere which says I cannot do this, and I have certainly never seen a list of problems which arise from disobeying this rule. Not only have I never encountered any problems with my approach, I have actually avoided the problems which are inherent in their approach and have even provided facilities and cost savings which their approach cannot. If you look at the CREATE TABLE script for a table is this not a blueprint? Is not each row within the table a working instance of that blueprint? Is it not unreasonable therefore to put the table's blueprint into a class so that you can create instances of that class to manipulate the instances (rows) within that table? I write nothing but database applications for the enterprise, which is why they are sometimes called enterprise applications. This type of application is made up of a number of user transactions (also known as "units of work" or "use cases") where each transaction has a User Interface (UI) at the front end, one or more tables in a relational database at the back end, and some software in the middle which transports data between the two ends. There can be thousands of transactions and hundreds of tables. With my previous languages I gradually progressed from using the 1-Tier Architecture through 2-Tier and eventually 3-Tier with its separate Presentation, Business and Data Access layers. With the UNIFACE language it was standard practice to create a separate component in the business layer for each database table, so I saw no reason why I should not continue with this practice and create a separate class for each database table so that each could then become an object in the business layer. I have been told on more than one occasion that the "correct" and "approved" way of applying the principles of OOP is to start with Object Oriented Design (OOD) with its is-a and has-a relationships, compositions, aggregations and associations, then design all objects using these principles. The database is left till last and accessed through an Object-Relational Mapper (ORM). As I did not know that these rules existed, let alone were obligatory, I did what had proved successful in the past and started with my database which I designed using the rules of Data Normalisation, then structured by software around the database as was taught in Jackson Structured Programming. This approach produced very good results in my PHP code, so I could see nothing wrong with it. OO programmers often say that OO Design is incompatible with Database Design, which is precisely why I don't waste my time with it. Once I have designed a properly normalised database I don't have to design any classes to communicate with that database as I can automatically generate a class file for each table. When I want to create a user transaction to do something with that table I use my Data Dictionary to link that table with one of my Transaction Patterns, press a button, and that transaction is generated for me. This provides me with a basic transaction which I can run immediately, but I can then add custom code to the table class in order to augment the basic behaviour. If every object in the domain layer IS-A database table, then every object in the domain layer should have its own class. Every database is subject to only four basic operations - Create, Read, Update and Delete - so there should be no need to define custom methods for each table class. A set of columns, each with its own data type which comes from a fixed list. This information is held in my $fieldspec array. A primary key, which allows each row in that table to be uniquely identified. This information is held in my $primary_key array. Any number of optional candidate (unique) keys, which offer alternative means of identifying a particular row. This information is held in my $unique_keys array. A list of related tables where this table is the parent. This information is held in the $child_relations array. A list of related tables where this table is the child. This information is held in the $parent_relations array. This information can be obtained from the database schema and made available to the table class in the form of a <table>.dict.inc file. When accessing data in a table it is not necessary to perform a separate operation for each column as the database deals in sets of data. It should therefore be possible to pass each data set in a single $fieldarray array rather than a separate property for each column. This would allow different subsets of data to be used on insert and update queries, and would allow select queries to contain additional columns from other tables using JOINs. The fact that this results in a single array of field specifications and that there is also a single array of field data should make it easy to write a single standard routine which uses those two arrays to validate that a field's data matches its specifications. Because I don't use OOD I never end up with that problem called Object-relational Impedance Mismatch which then requires that abomination of a solution called an Object-Relational Mapper (ORM). By having a single controller responsible for several modes you are violating the Single Responsibility Principle as parts of the code which will only be applicable for certain modes. If it is required to grant or disallow access to various modes for different users then access control has to be built in to the controller so that the right modes are only available to the right users. It is possible to have a bug in the code so that a function is not called when it should be, or called when it should not be. It is also usual for each controller to have the model/table name hard-coded so that it will only work with that designated model, which means that the controller cannot be reused to work with a different model/table. Each controller is responsible for a single mode, so it does not contain behaviour that it does not need. All access control code is handled by the framework, not by code within each controller. If a user has not be granted access to a particular transaction then the framework will remove all links to it. If the user cannot see the link then he cannot select it. The possibility of a bug in the code which allows the ENQUIRE transaction to accidentally execute the DELETE code is completely removed. No controller has any model/tables names hard-coded into it. Each is designed to work with whatever table name is passed down to it from the component script. This makes every controller totally reusable. All the HTML output is produced by transforming XML documents using XSL stylesheets. Although I started with having to create a separate XSL stylesheet for each screen in order to identify where each piece of data need to be displayed, and with what control, I managed to reduce this to a small group of reusable XSL stylesheets which obtain the data requirements from within the XML document itself. This data is extracted from a small screen structure file. This means that I can have one stylesheet for the LIST view and a separate DETAIL view for the others in this family. Each of these six transactions does something with a particular database table, and the processing is split between a Controller in the presentation layer and a table/model class in the business layer. Each controller references a single View object - one for HTML, one for PDF and another for CSV output. Because each controller exhibits a pattern of behaviour which could be used with a number of different database tables, this has enabled me to produce a library of Transaction Patterns which encapsulate that behaviour. In order to produce a particular user transaction all I need do is to combine a particular transaction pattern with a particular database table. I have been able to automate this so that the framework can do it for me at the press of a button. If a database application is one that contains a number of user transactions which operate on a number of database tables, and I have been able to automate both the creation of the table classes and the user transactions, why do my critics keep telling me that my methodology is wrong? Surely the ability to create working code with less effort is a good thing, so why do my critics keep telling me that my methodology is wrong? Are they right in creating expensive software which conforms to a host of arbitrary rules, or am I right in creating cost-effective software which does what my paying customers want? My methodology may not be the same as that used by most developers, but surely it is the results which are more important? There was a study in 1996 in which the productivity of two teams was compared to find out why one team was twice as productive as the other. The study broke down the code which was written into various categories - business logic, glue code, user interface code, database code, etc. If one considers all these categories, only the business logic code had any real value to the organisation. It turned out that Team A was spending more time writing the code that added value, while team B was spending more time gluing things together. With my approach I can create a table in the database, import it into my Data Dictionary, then generate both the class files and user transactions for the family of forms shown in figure 1 at the press of a button and be able to run those transactions within 5 minutes, all without having to write a single line of code - no PHP, no HTML, no SQL. This means that the developers have to spend far less time in writing boilerplate code, which leaves them with far more time to spend on the code which has actual value to the organisation - the business logic. Real OO programmers don't do it that way. That's because they don't understand how databases work, and how to write code which interacts with a database. If they were taught not to do it this way then their teacher was a moron. If they were taught that this way causes problems, then where is this list published? You are not following the rules of Object Oriented Design (OOD). That is because that when writing a database application I have learned that it is the database which is the most important and the software is a mere implementation detail. Using two different design methodologies - one for the software and another for the database - would be a recipe for disaster. I always design the database first using the rules of normalisation, then I skip OOD completely and force my software structure to follow my database structure. In that way I avoid the problem of Object-relational Impedance Mismatch which then requires that abomination of a solution called an Object-Relational Mapper (ORM). The advantage I have is that I worked with a variety of database systems - hierarchical, network and relational - for several decades using non-OO languages, so I knew how to design databases and write database applications. When I switched to an OO-capable language all I had to do was learn how to leverage the new concepts - encapsulation, inheritance and polymorphism - in order to write programs with more reusability. Closely related to OOD is Domain Driven Design (DDD) with even more artificial rules which I choose to ignore. When writing a large enterprise application which consists of a number of distinct subsystems/domains I do not need to embark on a separate design process for each of those subsystems/domains for one simple reason - while each of those domains is different they all share one common attribute in that they are ALL database applications, and I have learned to build database applications from a common set of patterns. This is explained more in Why I don't do Domain Driven Design and The Template Method Pattern as a Framework. This results in a lot of duplicated code - you write the same code for each table (select, insert, update, delete) again and again. Then you don't understand how to use inheritance. All code which is common to all database tables is defined once in the abstract table class and then inherited by every concrete table class. Every piece of code which can be shared is defined once with the abstract class. Every piece of code which is specific to a particular table is defined within that table's class. If code is defined once and shared multiple times then where exactly is the duplication? You should use object composition instead of inheritance. Why? Object composition is only used by retards who don't understand inheritance and therefore overuse it by creating large inheritance hierarchies, but where you only ever inherit from an abstract class there are no complex hierarchies and therefore no problems that using such hierarchies produce. I never ever inherit from one concrete class to create a different concrete class, so I never encounter any of the problems which this may produce, such as Inheritance breaks Encapsulation. In those places where I create a subclass of a concrete class it is only to override the implementation within certain methods. This is discussed further in What is/is not considered to be good OO programming. You just don't understand what OO means. If the concept of a table is abstract, that is why I have an abstract table class. If a given SQL table is an object in the real world, that's why I have a concrete table class for each table which can be instantiated into an object. Each concrete table class inherits sharable code which is contained within the abstract class, on top of which it provides everything needed to work with a particular table. I have not seen any definitions of "abstract" , "concrete", "class" and "instance" which invalidate what I have done, so how can my implementation be wrong? As far as I am concerned Object Oriented Programming (OOP) requires nothing more that writing programs around objects, thus taking advantage of encapsulation, inheritance and polymorphism to increase code reuse and decrease code maintenance. The efficacy of your OOP implementation can be measured in the levels of reusability that you achieve. This is discussed further in What OOP is NOT and What OOP is. You wouldn't model people by creating a Person class and subclass it for each new person would you? The concept of a Person is abstract, a given person is not. Nobody in their right minds would create a separate subclass for each row in a table. Each class provides a blueprint for each instance of that class just as each table definition provides a blueprint for each row in that table. In a database it is only the concept of an unspecified table which is abstract while a particular table with a particular name and particular structure is a concrete instance of that abstraction. Just as a Person table can hold many rows, one for each person, my Person object is capable of having many instances, one for each person. I do the same for every table in my databases - one table, one class, where each instance of that class can hold as many rows as is necessary. This follows the Table module pattern which Martin Fowler wrote about in his book Patterns of Enterprise Application Architecture. He also has Class Table Inheritance and Concrete Table Inheritance, but as these talk about hierarchies of tables, which I do not have, I do not use them. I do not have table hierarchies in my software as there are no such table hierarchies in the database. The use of relationships may indicate that one table is related to another, but this in no way forces me to go through one table in a relationship in order to get to the other. Each table can be treated as an independent object - in fact it has to be for insert, update and delete operations - but for read operations it is possible to combine data from several tables by using JOIN clauses in the SELECT query. Having a separate class *instance* is good OO, having a separate *class* is bad OO, since you lose all the potential benefits of low maintenance. How can I create an instance of a class without having a class to start with? I cannot create an instance of an abstract class and then supply it with the information it needs as the rules of OO explicitly prohibit instantiating an abstract class into an object. And you have the nerve to tell me that I don't understand OO! As for losing the potential benefits of low maintenance, you are talking out of the wrong end of your alimentary canal. All the common code is contained within a single abstract table class, thus following the DRY principle, and each of my 350 concrete table classes contains only that code which is specific to that table while sharing all that code which it inherits from the abstract class. This leads to a problematic dependency between the DB and the class. How so? I write nothing but database applications, so deliberately obscuring from my software the fact that it is communicating with a database would be counter-productive. I have gone so far as to implement the 3-Tier Architecture which takes all database code out of the business layer and puts it into a separate data access layer, but I will go no further. The fact that the business layer is then dependent on the data access layer is not a problem, it is precisely how this architecture is supposed to work, and it does not create problems, it solves them. It provides me with the ability to switch from one DBMS to another simply by changing a single line of code in my configuration file, and that is all the flexibility I need. My business layer is therefore not dependent on a particular DBMS, just the idea of a non-specific DBMS which can be identified later. You should not have to create a new class for each database table. Import the table's structure into my Data Dictionary. Export the table's details to recreate the <table>.class.inc and <table>.dict.inc files. Once I have created the class for that table I can then use the generate PHP script facility in my Data Dictionary to create as many user transactions as is necessary to deal with that table. Each transaction can be run immediately from the framework. These will perform the basic operations after which the developer can add in as many customisations as is necessary. You have to recode both the table and the class every time you change the table. Import the updated schema into my Data Dictionary. Export the changes to recreate the <table>.dict.inc file. Change any properties within the table's class. The definitions of each column are contained within the $fieldspec array, and the column data will be passed around in the $fieldarray array. Change any arguments on any methods within the class. Only arrays of column data are passed around, not individual columns. Change any arguments on any methods which call that class (e.g. in any controllers). This is therefore a prime example of loose coupling which is supposed to be a good thing, so don't tell me that I'm wrong. You may have difficulties with your implementation, but remember that my implementation is totally different, which it had to be in order to eliminate those difficulties. You are not using the right design patterns. Every newbie programmer is taught that "design patterns are good", so they do the stupid thing and try to implement as many design patterns as possible. They have their favourite patterns and cannot understand why everyone else does not use the same ones. There are even arguments as to how each pattern should be used. Take a look at the criticisms against my implementation of the MVC pattern as an example. There is no such thing as a set of "right" design patterns which everyone should use. The correct approach is not to pick a collection of patterns and then try to force them into your code, it is to write code that works, then refactor it into those patterns which are appropriate for your particular circumstances. The Table Module pattern (because of my one class per database table). The Page Controller pattern (because of my Controller scripts). The Transform View pattern (because of my XSL transformations). The Template Method pattern (because of my hook methods). This topic is discussed further in You are using the wrong design patterns and You don't understand Design Patterns. Your implementation is not OO, it is procedural. Too many people seem to think that code which does not follow their definition of OOP is not "proper" OOP at all, therefore it must be procedural. In this context the term "procedural" is used as an insult. Some of these criticism are explained in In the world of OOP am I Hero or Heretic?. A more detailed response is contained in What is the difference between Procedural and OO programming? You have created a God Object. Some people seem to think that just because my abstract table class is bigger than what they are used to that it is automatically bad. They seem to think that there is a rule which says that a class cannot have more than N methods, and each method should not have more than N lines of code (where N is a different number depending on to whom you talk). As far as I am concerned this rule was only invented to cater for those people who are so intellectually challenged they cannot count to more than 10 without taking their shoes and socks off. I am obeying the rule of encapsulation which states quite clearly that when you have identified an entity you create a class for that entity which contains ALL the properties and ALL the methods that the entity requires. Note that as I use the 3-Tier Architecture each table class contains only business logic - all data access logic and presentation logic are in separate components. I am following the Single Responsibility Principle (SRP), so how can I be wrong? Besides, this class cannot be used to create a God Object as it is an abstract class and cannot be instantiated into an object. This class is inherited by each concrete table class, of which I now have over 350, so each table class has its own object. There is no such thing as a single object which handles all database tables. The definition of a God Object also states that it contains a majority of the program's overall functionality, and in my book "majority" means "greater than 50%", and after counting all the lines of code in my framework I can report that it only contains 17%. That is measurable proof, so your opinion is not worth the toilet paper on which it is written. This also invalidates the claim that I have multiple God classes. This topic is discussed in more detail in You have created a monster "god" class and A class with multiple methods has multiple responsibilities. You have an anemic domain model. People look at an example of one of my concrete tables classes which starts off by containing nothing more than a constructor and because it is so small they surmise that it must be anemic. Perhaps they don't notice the use of the word "extends" which allows it to incorporate code from a huge abstract class. 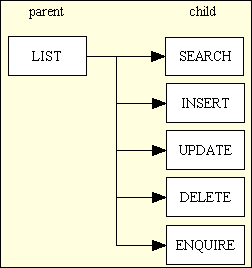 An anemic domain model is supposed to be one which contains data but no methods to process any business rules, but if you opened your eyes and looked close enough you would see that all the business rules, which includes data validation, for each database table are performed within the class for that table. This topic is discussed in more detail in You have created an anemic domain model. Can anyone explain to me how some people looking at my table classes consider that my abstract table class is a God Object which does too much while my concrete table classes are all anemic as they do too little? Surely these two accusations are mutually exclusive? Your implementation is too simple. Who says? Surely if I make something more complicated than it need be I would be violating the KISS principle? You must be a member of the Lets's-make-it-more-complicated-than-it-really-is-just-to-prove-how-clever-we-are brigade. The alternative idea, that of having a class which is responsible for a group of tables, is something I could never dream up in a million years. I have worked with databases for several decades, and just as the DBMS itself treats each table as a separate entity with its own name, structure and set of business rules, then I follow the principles of OOP and encapsulate that structure and all those rules in a separate class. This simple approach has enabled me to identify and take advantage of a wide range of benefits which are explained below. This approach is only useful for simple CRUD applications. That might have been true if my framework could only generate the small family of forms as shown in Figure 1 as these only support the basic CRUD operations. However, in order to deal with more complex situations I have created a library of over 40 Transaction Patterns, and using these patterns I have written a complex ERP application which now has 14 subsystems, over 350 database tables, 700 relationships, and over 2,800 user transactions. That surely qualifies as "more than simple". In my decades of experience I can safely say that every complex transaction starts off as a simple transaction to which complexity is then added. The user transactions that are generated by my framework can cover a wide range of scenarios, and can be run immediately after being generated to show the basic functionality. Extra complexity can be added simply by inserting custom code into the relevant customisable methods which already exist in any table class. My use of customisable methods happens to be an implementation of the Template Method Pattern, so it is definitely following a technique which has been recognised by experts. By telling me that my implementation is wrong you are also saying that those experts are wrong, which is why I choose to ignore your questionable advice. If you cannot write a complex enterprise application using your implementation of OOP then perhaps it is your implementation which makes it more difficult than it should be. This is discussed further in Table Oriented Programming (TOP). I tried this approach once, but I couldn't get it to work. Then your implementation was obviously faulty. Mine was not. Perhaps you need to rethink your ideas on how OOP should be implemented and concentrate, as I do, on producing results instead of following arbitrary rules. I do not use two incompatible design methodologies in my applications, so my software structure is always in sync with my database structure, which I design using the rules of data normalisation. This avoids the problem known as Object-relational Impedance Mismatch which then means that I do not have to work around that problem by using that abomination of a solution called an Object-Relational Mapper (ORM). Prevention is always better than cure. The only objects that my business layer has to deal with are objects in the database, which are tables. These do not have hierarchies in the database so why should I have hierarchies in my software? The only inheritance I need is to inherit all the standard code from a single abstract table class. The Controllers are pre-written and supplied with the framework. There is a separate Controller for each Transaction Pattern. The Model classes, one for each database table, are initially generated from the Data Dictionary, after which they can be modified to include any custom processing. The DAOs are pre-written and supplied with the framework. There are separate objects for MySQL, Postgresql, Oracle and SQL Server. Export the table's structure to produce a class file and a structure file. If a table's structure ever changes all that needs to be done is to repeat the import and export process which will cause the structure file to be recreated. The class file will not be overwritten as it may have been modified to include code in customisable methods. Every method required by a Controller to communicate with the Model is defined within my abstract table class which is inherited by every concrete table class. Because it is inherited it does not have to be written. Because all the data, both incoming and outgoing, is held in an array of variables called $fieldarray, which is defined in the abstract table class, I don't have to spend time in defining a separate variable for each column. I do not need to define a separate method for each user transaction (also known as "use case" or "unit of work") as each transaction has its own entry on the MNU_TASK table. At run-time the user selects which task he wants to run from a menu of options, and that selection activates the relevant Controller which calls methods on the relevant Model. While the code with a Controller is standard the code within a Model's customisable methods can be set to whatever the developer requires. The validation requirements for each column in a table are defined in the $fieldspec array which is made available in the <table>.dict.inc file which is exported from the Data Dictionary. All user input comes in as an associative array, such as $_POST, where the column values are keyed by the column name. The abstract table class then uses standard code to verify that each of the values in the data array matches that column's specifications in the specifications array. This topic is discussed further in How NOT to validate data. Anyone who has written SQL queries for any length of time will tell you that they all follow a standard pattern with the only differences being the table and column names. Anything which is standard and common to all database tables is therefore defined with the abstract table class, and this is merged with the specifics of a particular concrete table class at run-time in order to provide the information required to build a particular query. This information is then sent to the Data Access Object (DAO) for processing. A single XSL stylesheet can be used by several controllers. Each controller can be used to access any number of table classes. Each table class can be accessed by any number of controllers. The only "difficulty" with this approach is deciding which Transaction Pattern to use in the first place, but as the framework download contains lots of samples this should become easier with experience. I have seen such a thing proposed more than once, such as in Decoupling models from the database: Data Access Object pattern in PHP, and I am always surprised, even shocked, that so-called "professional" programmers can come up with such convoluted and complicated solutions. In my mind that is the total opposite of what should actually happen. In my methodology I *DO NOT* have a separate DAO for each table, I only have a separate DAO for each DBMS (MySQL, Postgresql, Oracle and SQL Server) where each can handle any table that exists. If you understand SQL you should realise that there are only four operations that can be performed on a database table - create, read, update and delete - so why would I duplicate those operations for each table when I can have a single object to handle any table? For each user transaction the associated web page will follow the screen structure used by that particular Transaction Pattern, and all that is required is a small screen structure script to identify which column from each table goes where on that screen. This script is initially generated from the Data Dictionary, but can be amended afterwards. This file is fed into a View Object at run-time which writes it out to an XML document, along with all the data from the table class(es), which is then transformed into HTML using the designated XSL stylesheet. If you have to write such code yourself then you know what a burden it can be. Now imagine not having to write such code to achieve all this functionality. Because I can save time by NOT doing a lot of useless things I can then spend that time in doing useful things which add value to the application. I was able to implement an Audit Logging system which does not require any coding for individual tables. It has a fixed set of audit tables to hold all the changes to any number of application tables, and a fixed set of screens to view that data. I was able to implement an An activity based Workflow Engine based on Petri Nets where the "transition" in a Petri Net is a "transaction" in the framework. This does not require any changes to any application code as it is handled within the framework. I was able to Add Blockchain to an ERP system by sending XML documents as messages over the blockchain network where the sending of each message is controlled simply by identifying the triggering database table and any related tables. This does not require any changes to any application code as it is handled within the framework. My decision to use XSL Transformations to create all HTML output, plus my ability to engineer just 12 reusable XSL stylesheets to generate any number of pages also meant that I could convert an entire ERP application to be mobile-friendly in a very short timeframe. There are rules, there are guidelines, and there are personal preferences. Some of these personal preferences are the result of experience while others are the result of ignorance - they simply don't know any better. The "rule" that it is wrong to create a separate class for each database table was obviously devised by a person who learned OO theory before he learned how databases work, and has yet to come to grips with the fact that you have to tailor your solution to fit the problem domain. This is what Domain Driven Design is supposed to be about. I worked with databases for over 20 years before I learned OO, and I used that experience to help me write software that takes advantage of what encapsulation, inheritance and polymorphism have to offer. I never saw any descriptions of encapsulation which said that I could not create a separate class for each database table, so that's precisely what I did. This has never caused me any problems EXCEPT to attract the ire of certain individuals who claim that I am wrong yet fail to offer any substantial proof. As far as I am concerned my method works, so it cannot be wrong. When my critics tell me that I am breaking one of their precious rules they don't understand that breaking that rule has no adverse effect on my code. They cannot say "because you are doing that you cannot do this", so following that rule would not solve any problem for me. All it would do is force me to write additional code to achieve the same result, only differently, and if that effort is not rewarded with measurable benefits then in my universe that effort would be a total waste of time. I run a business where producing cost-effective software is the name of the game, so I prefer to spend my time in writing software that pleases my paying customers. I do not waste time in trying to write code that pleases the paradigm police with its purity as their definition of purity does not result in cost-effective software. Not only does my approach NOT cause any problems, it actually opens up a lot of advantages which are completely closed to other methods. My approach may ignore certain design patterns favoured by my critics, or their preferred implementations of those patterns, but there is no such thing as a definitive list of patterns, or fixed implementations of those patterns, which everyone must follow. Each programmer should be free to choose whatever patterns seem to be appropriate for their circumstances, and be free to implement them in whatever way they see fit. It is the end result that counts, not the effort that you expend to get those results. Being able to achieve better results than your rivals, and in shorter timescales, is what separates the competent from the cowboys. Not only is it NOT wrong to have one class per database table, I would actually go one step further and say that having a class which is responsible for handling the operations on more than one table is violating the Single Responsibility Principle. What is your answer to THAT? 01 Sep 2018 Added Additional Advantages of my approach.